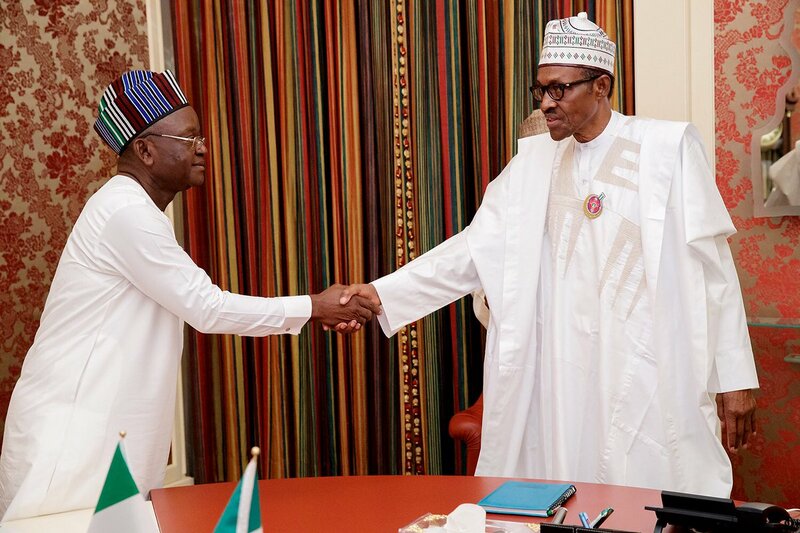 President Buhari finally met with Samuel Ortom, Benue State Governor after his cry for help concerning the Fulani Herdsmen killings in Benue state. Buhari shared the news on his twitter page. The meeting with Governor was about the Benue State people that lost their lives to Fulani Herdsmen and how to prevent further attacks. Mr President revealed that the meeting with Samuel is to assure the people of the state of the support of the Federal Government. He said the lives and properties of the Benue State people and other states in Nigeria are priority of the Government and steps has been taken to ensure that. He further added that additional security resources have been deployed to fish out the attackers, bring justice and to avoid another form of attack in future. Recalling that Samuel Ortom announced that the President and his Cabinets has ignored his cry for help. According to Samuel, the people surrounding the president are the ones blocking his communication with the President for Selfish reasons. Samuel was scared that the people of his state might start taking laws into their hands if the Federal Government did not attend to the security state of Benue State.